The warehouse robotics market is growing owing to the increased demand for automation, high competition in the e-commerce industry, and the advancement in technology. The emergence of robotic technology has transformed the way businesses carry out their operations today. 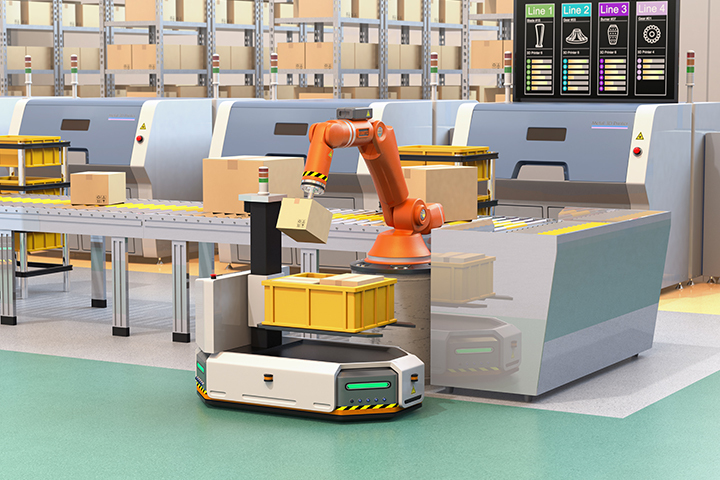 An example is warehouse robots which have revolutionized warehouse operations by bringing speed, accuracy, and efficiency via assembling, picking, transportation, packaging, and shipping goods. They efficiently guide laborers to pick up the right items and transport them across a warehouse to be packed and shipped. In some cases, robots do this without any supervision, relying on intelligent programming set within their systems. The warehouse robotics market is growing owing to the increased demand for automation, high competition in the e-commerce industry, and the advancement in technology. As per the report published by Allied Market Research, the warehouse robotics market is expected to reach $5,186 million by 2023, growing at a CAGR of 11.6% from 2017 to 2023. Amazon recently started using the warehouse robot called Kiva robots which changed the face of the global warehousing industry. These robots can pick up a whole shelf of goods and drop the inventory at various packing stations across the warehouse. Sensors embedded in the bots prevent collisions and algorithms help make the decisions regarding picking and dropping. Other companies such as Knapp, Locus Robotics, Swisslog Holding, GreyOrange, Scallog and Fetch Robotics also introduced robotic systems in their warehouses for improved logistics and increased production. In June 2018, Mobile Industrial Robots (MiR), a leading manufacturer of collaborative mobile robots launched a new warehouse robot to automate the transportation of pallets and heavy goods across warehouses. Geek Plus Robotics, an intelligent logistics robot solution provider introduced the latest version of what it claims is “the world’s first interweaving sorting robot” for warehouses. In March 2018, GreyOrange, a robotics and supply chain automation company announced its beta launch of an autonomous picking solution called Butler PickPal at LogiMat 2018 in Stuttgart, Germany. MiR’s warehouse robot called MiR 500 is designed to automate the transportation of pallets and heavy loads throughout a warehouse. It features a lifting capacity of 1,102 lbs, a speed of about 4.5 mph, the latest laser-scanning technology that delivers a 360-degree visual for optimal safety, and 3D cameras which have a range of 30-2,000 mm above floor level to detect pallets. The robot is flexible, easy-to-program, eliminates material flow bottlenecks to increase productivity, maneuvers safely and efficiently around people and obstacles, and can be redeployed for various tasks with customized top modules. According to the company, the MiR500 is the largest, most powerful, fastest, robust, autonomous mobile robot from MiR with a payload of 500 kg, a speed of 2 m/sec and a footprint of 1350 x 920 mm. It can be equipped with pallet forks, conveyors, a robot arm or other options to support a variety of applications. Geek Plus Robotics’ latest interweaving sorting system is called S20 and is available globally. It’s an innovative tool to increase the efficiency of parcel sortation in warehouse distribution centers. Unlike regular robot sorting system, Geek Plus S20 is highly flexible, easy to use, fast, and helps save time and cost greatly. Powered by AI and machine-learning technology, the robot system uses a strong algorithm and flexible system scheduling to figure out the most effective path and reduce convergence. “In the entire process of supply chain in e-commerce and express industry, parcel sortation is always a major step. Driven by increased demand on fast delivery from the customers' end, many e-commerce companies chose to deploy robot sorting system and have benefited from logistics automation. In the near future, Geek Plus Robotics will release more robotics solutions for warehousing and logistics such as self-driving forklift, an updated version of SLAM navigation Moving Robot, mechanical arms for Geek Picking System, covering every step in the supply chain. We have strong faith that real unmanned warehouse will finally come true soon,” said LiT Fung, General Manager of Geek Plus, Hong Kong.